The university says Darius Minor collapsed during a supervised light workout on Tuesday, becoming the first Black Bears player to die during a workout on campus in the program's 126-year history. 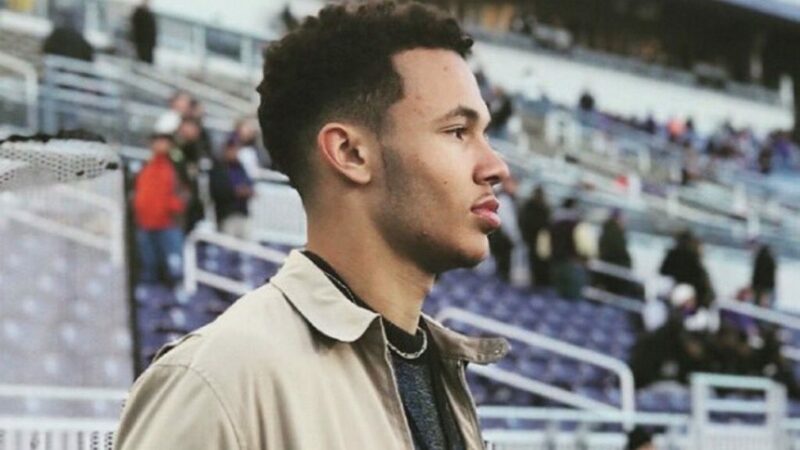 ORONO — University of Maine football coaches said Wednesday that they were unaware of any medical condition that might have contributed to the death of freshman player Darius Minor. Minor, an 18-year-old from Locust Grove, Virginia, collapsed and died during a supervised light workout at Alfond Stadium on Tuesday afternoon. He is the first player in the 126-year history of the UMaine football program to die during a workout on campus. University officials said they do not know the cause of Minor’s death. His body was sent to the Office of Chief Medical Examiner in Augusta, they said. Jesse Lohr, Minor’s football coach at Orange County High in Orange, Virginia, told the Press Herald that Minor had been healthy other than a knee injury that cost him his junior season. He also starred on Orange County High soccer team. Minor, who was 6 feet tall and weighed 170 pounds, was projected to be a defensive back for the Black Bears. UMaine head coach Joe Harasymiak said Minor, like other incoming players, needed to pass two physicals in order to participate in football activities. Strength coach Jon Lynch took a group of 17 freshman to the football stadium in shorts and T-shirts for a workout at 1 p.m. that was to include pushing a weighted sled. After a five-minute warm-up and a short water break, the group went through one set of the drill. During another four-minute water break, Minor tapped Lynch on the shoulder and said he felt like he was going to pass out, Harasymiak said. Seconds later, Minor collapsed. Lynch and some players carried Minor toward the field house to get him off the stadium’s hot artificial turf. Lynch contacted the training staff – “which was on scene at Darius’ side almost immediately,” said Harasymiak – and a 911 call was made. But efforts to resuscitate him failed. University officials said members of the coaching and training staffs did everything they could to save Minor’s life. This was the first year Maine has had its freshman class in early for workouts. The final three days of the workouts scheduled for this week were canceled and all members of the team were sent home. They will report back next Tuesday for the start of training camp. Harasymiak was not at the workout Tuesday. He was returning to Maine from Baltimore after attending the annual Colonial Athletic Association Media Day. Harasymiak choked up several times during the media conference Wednesday, and said that no player will wear the Minor’s No. 39 for the next four years. Minor, a political science major who had received a full scholarship from the Black Bears, had been at UMaine for the last three weeks for freshman workouts and was taking a class. Harasymiak said that grief counselors were available for team members both Tuesday night and Wednesday at an 8 a.m. team meeting. Settele said that the upperclassmen voluntarily stayed in the dorms with the freshmen Tuesday night to make sure they were all right. “They rallied around each other,” Settele said. Minor, in addition to displaying exceptional skills during workouts, had become a very popular player on the Black Bears in his two weeks here. Those who knew Minor in high school said he was a special student-athlete. Guempel said the high school provided grief counseling for members of the football team Tuesday night at the school’s field house. The team had been together for a preseason camp when news of Minor’s death filtered to them. Minor missed his junior football season after he injured a knee, tearing the ACL. He returned as a senior to catch 57 passes for 763 yards and 13 touchdowns. He also was the team’s kicker and, in the spring, led the soccer team in scoring. Harasymiak said members of the team, both coaches and players, would go to Virginia for services, whenever they might be. He wasn’t thinking about football yet. “This weekend is to be there for Darius, his mom and his family,” he said. “I told the team this morning, this is way bigger than football. This is the most adverse situation we’ll ever be in together. And if our culture is where it needs to be as a team, it will pull us through it.